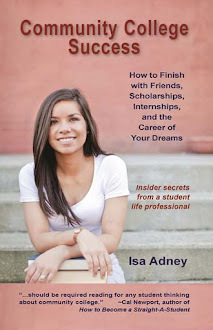 Community College Success: What is your dream? 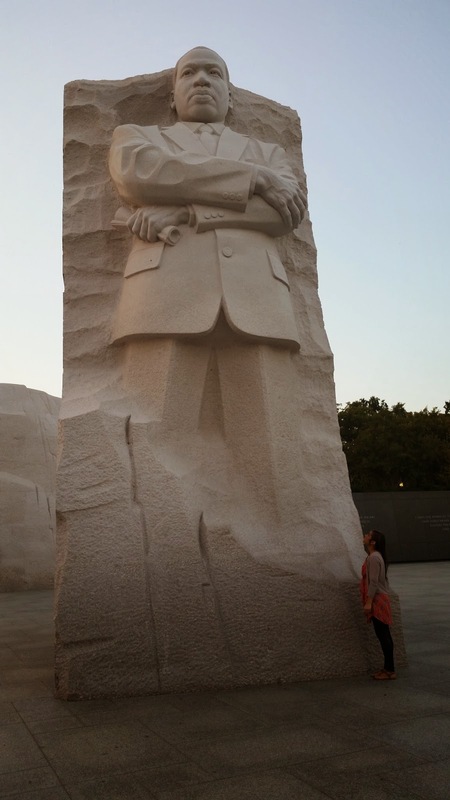 Four years ago, the week before Martin Luther King Jr. day, I started this blog. The second post I ever wrote was about Martin Luther King Jr. and how we all have tremendous power and influence to affect things for good. With hindsight it seems I was somehow always on my way towards writing my next book about making a dream come true. But my journey has rarely, if ever, felt clear. What I've learned so far from working on this book, as well as in my own life, is that dreams are fraught with difficulty, confusion, feelings of loneliness and fear - even sometimes darkness. Dreams may start with a light at the end of the tunnel, but it doesn't always mean that light is bright. Sometimes it's so dim and you wonder if you've stumbled into the wrong tunnel. College can feel like that too. When I started this blog four years ago I could have never imagined that community colleges would be such a big part of the national conversation, as they have been and will be tomorrow when the President gives his State of the Union address, proposing free community college. I hope college is made financially feasible for you, whatever that means, wherever you go, and even if that means you have to invest in it yourself. I'm a fan of anything that can lessen your burdens, but I also think it doesn't change the fact that you are a good investment. Whether the government makes that investment or you do, I think it's a good one and I hope you make it. Money can feel like the biggest part of the investment, and in many ways it is, but once that part is taken care of, there's a lot more to consider. Like - What is your dream? A piece of paper or a far off promise of more income and stability is often not enough fuel to power you through the tough stuff that college promises to throw your way. We can and should begin with big dreams of a good economy and an employed, productive workforce. But we'll never get there until we consider you. Yes, you, reading this, in this very moment. You matter. Your dreams matter. Your dreams will get you to that graduation ceremony. Your dreams can help us all. Dreams alone, of course, are not enough. MLK Jr. didn't just magically show up one day to give a speech. He and so many worked tirelessly before and after that speech - they took risks, enlisted help, and planned strategically about how to turn their dreams into reality. Martin Luther King Jr. lost his life in pursuit of his dream. It was not an easy journey. Now I'm not comparing college to civil rights, but I do think college can have a place in that larger picture, in helping people from all backgrounds reach their dreams of breaking cycles of poverty and getting an education. Dreams can power people through some of the toughest circumstances. What are your dreams? What is the dream that's going to power you through college, help you make it the the priority that it must be if you are going to have any chance of graduating? Write it down right now, in your phone, on a piece of paper, on your hand, whatever. Just write it. Write one, write many, just write. Tomorrow, look at what you wrote again. Reflect, edit, and write a final list. Then read it every morning, and decide on at least one thing you're going to do that day to get yourself closer to your dreams. It's the small, seemingly insignificant things done each day that can often build to make the biggest difference.